A semi-weekly discussion of the plots, themes and highlights of the HBO series "Game of Thrones." Your hosts Dave Chen (The /Filmcast and The Tobolowsky Files) and Joanna Robinson (an Editor for Pajiba.com) will dish up both praise and criticism and will try not to sound too pompous if the book was better. Questions, comments, oaths of fealty? 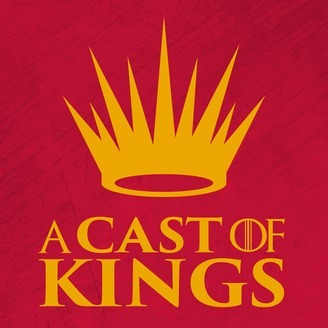 Email acastofkings@gmail.com. It’s the beginning of the end! 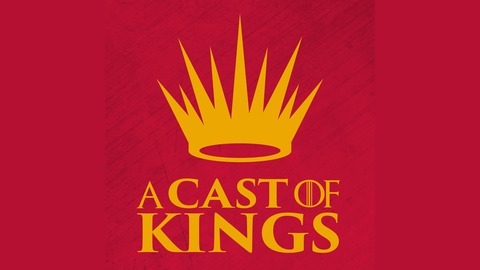 David Chen and Joanna Robinson dive into the first episode of the eighth and final season of Game of Thrones, “Winterfell.” Listen to David and Joanna’s recent interview on NPR All Things Considered. Read Joanna’s Vanity Fair article on the Easter eggs in the season premiere, and see her profile in the San Francisco Chronicle.